Cocktail culture has gone global. 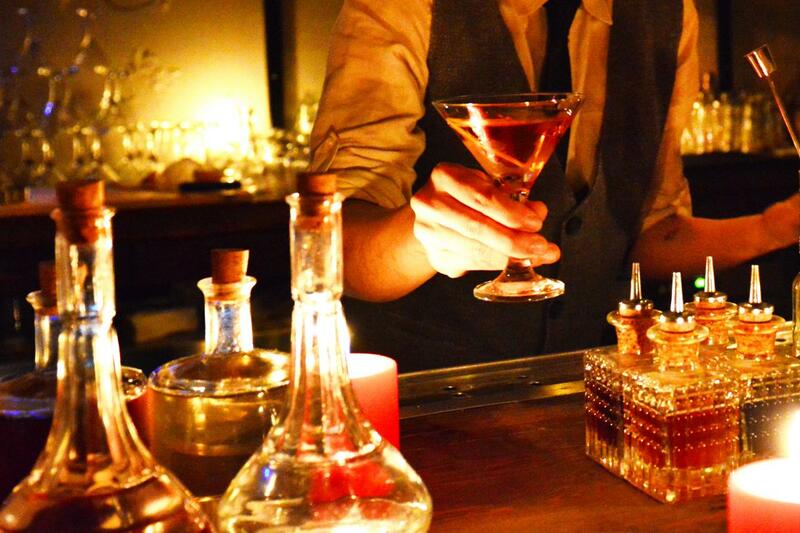 Discover what top bars on all seven continents (including Antarctica) are serving up. The cocktail might be an American invention, but it’s been a staple in bars around the world almost ever since some enterprising bartender decided to mix together whiskey, sugar and bitters. But the 21st-century revival of the art of mixing drinks has truly gone global: Today, you can find everything from speakeasy-style joints with secret entrances and passwords to liquor labs filled with bubbling beakers of mysterious liquids in almost any major city around the world. To celebrate this explosion in mixological creativity, we gathered a recipe from a top bar on each of the seven continents (yes, including Antarctica! ), so you can take a tour of the whole planet without ever leaving home. “Limantour is a very cool and chill place,” says bar director José Luis Leon, who’s been working here since opening day. “We are not trying to find the perfect cocktail; we are just trying to find the perfect one for each customer.” His Jamaica Mezcal is a riff on hibiscus agua fresca, a ubiquitous soft drink in Mexico City, which adds a shot of smoky mezcal and a little lime to a simple homemade spiced hibiscus syrup. 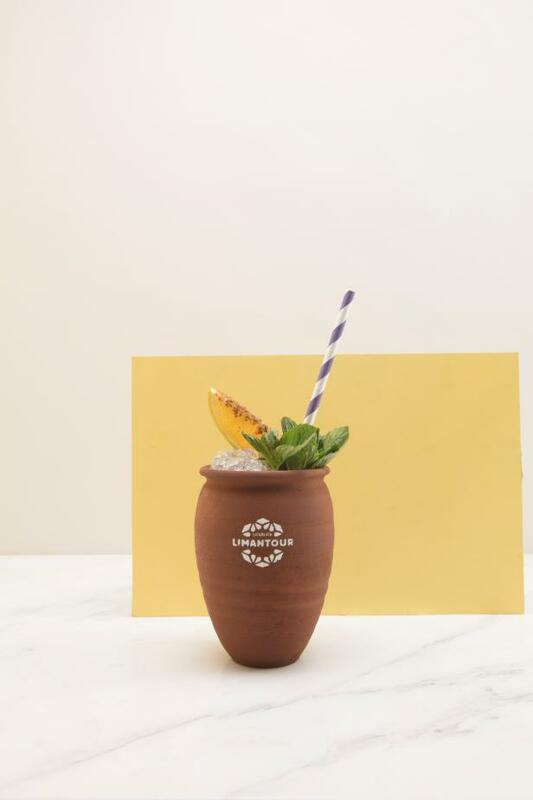 Leon calls it an agua fresca “con piquete,” which basically means “spiked.” The garnish is a lime wedge dipped in worm salt, AKA sal de gusano, a mix of salt, dried chiles and ground-up toasted worms that’s a popular partner for mezcal in Mexico. Cocktail from Licoreria Limantour in Mexico City. Add all the ingredients to a shaker and fill with ice. 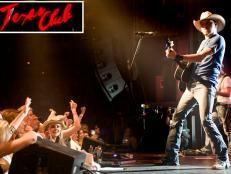 Shake, and strain into a clay mug or highball glass filled with crushed ice. Garnish with a mint sprig and a lime wedge dipped in sal de gusano. Add the water and sugar to a saucepan and bring to a boil over high heat, stirring until the sugar dissolves completely. Turn the heat to low and add the hibiscus, cardamom and cloves. Simmer for 10 minutes, then remove from the heat and let stand until cool. Strain, and store in the refrigerator. It’s hard not to gawk at the architecture in this swanky bar where vines cover the walls and ceiling in Polanco, an upscale neighborhood, but the food is even better. 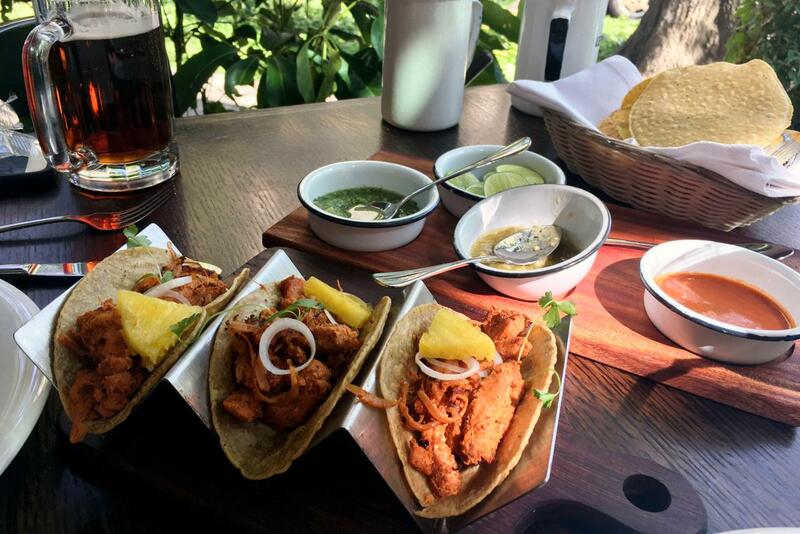 Go for the fried marlin al pastor tacos, a fresh twist on the classic pork tacos you’ll find everywhere else. Come to this late-night spot for a Mediterranean twist on the tacos you love. Instead of corn tortillas, these tacos are made with light, chewy pita. Unlike street tacos, where you might order four or five, a single taco here is a lot of food, especially if it’s heaped with cheese. Make reservations far in advance if you want a seat at Pujol, which is consistently ranked one of the best restaurants in the world. A six-course tasting menu costs about $100 per person, but it’s worth the splurge for elegant dishes made with traditional Mexican ingredients, like this baby corn smeared with mayo made with ground ants from Oaxaca, wild herb open papadzul with quail eggs and chiltomate and mole that’s been cooking for almost four years, served with hot tortillas made in-house. 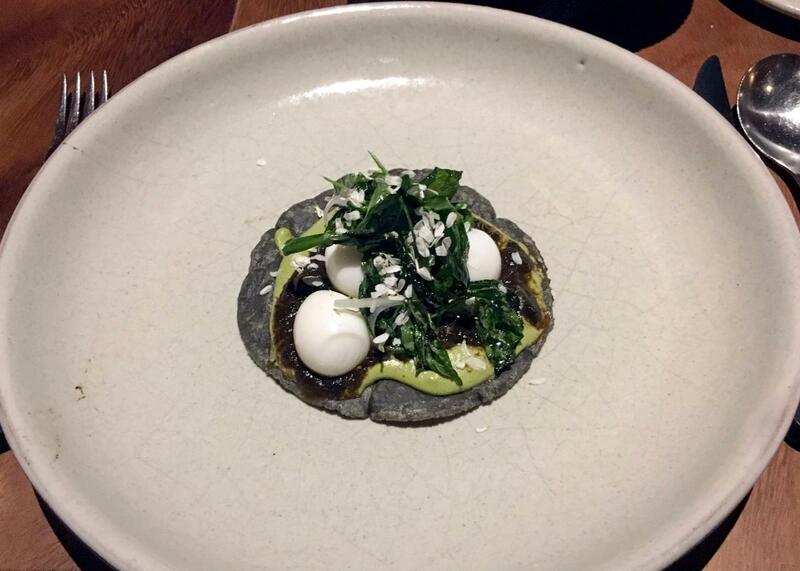 This tiny restaurant is in the heart of Polanco, one of Mexico City’s poshest neighborhoods, but don’t be fooled by the prices or small menu—the tacos are incredible. The cochinita pibil is juicy and cooked to perfection, and they cost less than $1 each. 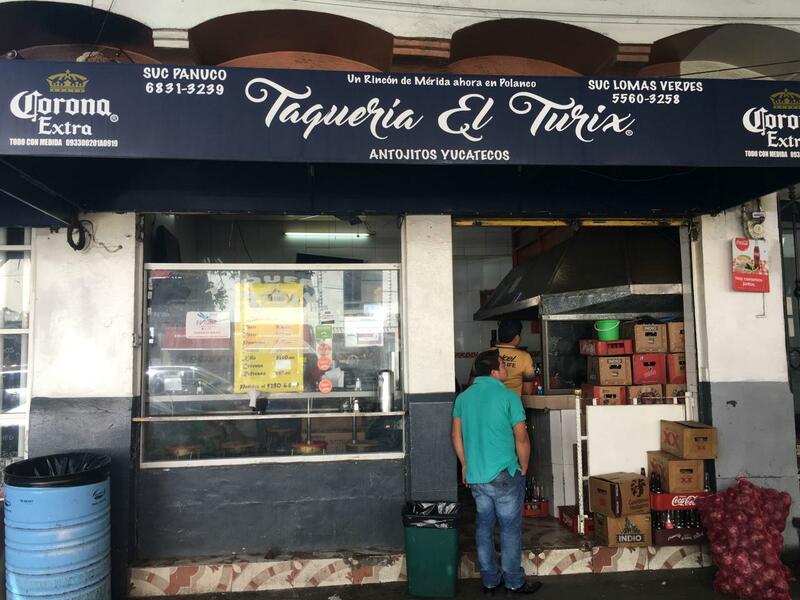 Throughout Mexico City, you’ll find small taco stands open nearly until sunrise, with small menus and someone shaving pork off a spit for al pastor tacos. Go to as many of them as possible. 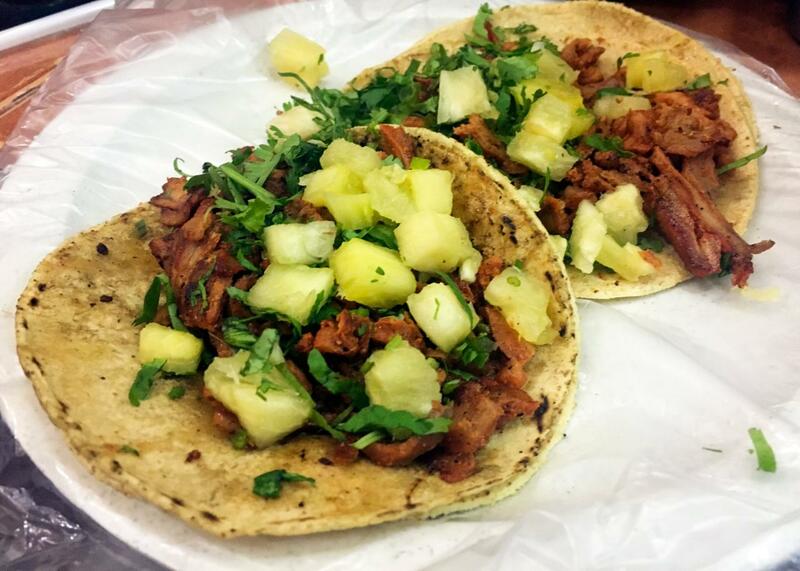 At Don Guero in El Distrito Federal, you’ll find juicy al pastor tacos and the smoothest horchata you’ve ever tasted. 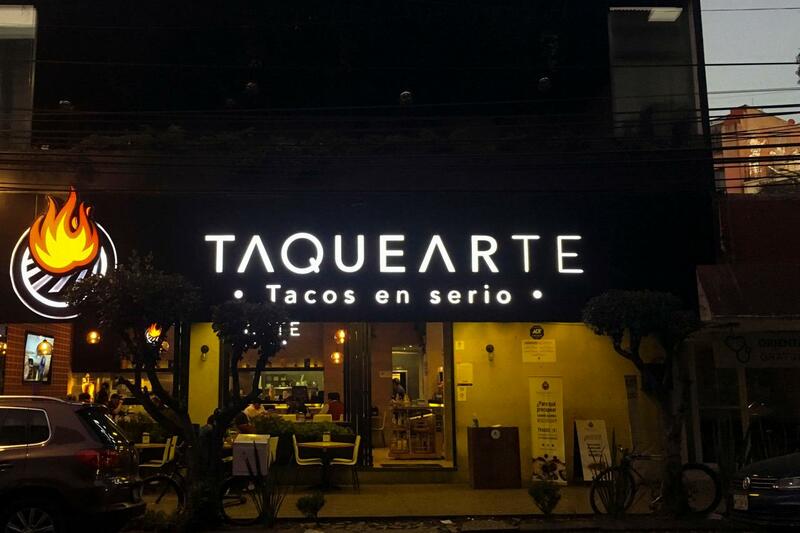 Taquearte is a small chain, but don’t let that deter you. You’ll find dozens of options here bursting with flavors, like the "taquehambre," with alambre al pastor, steak, bacon, peppers, onions, cheese and guacamole. 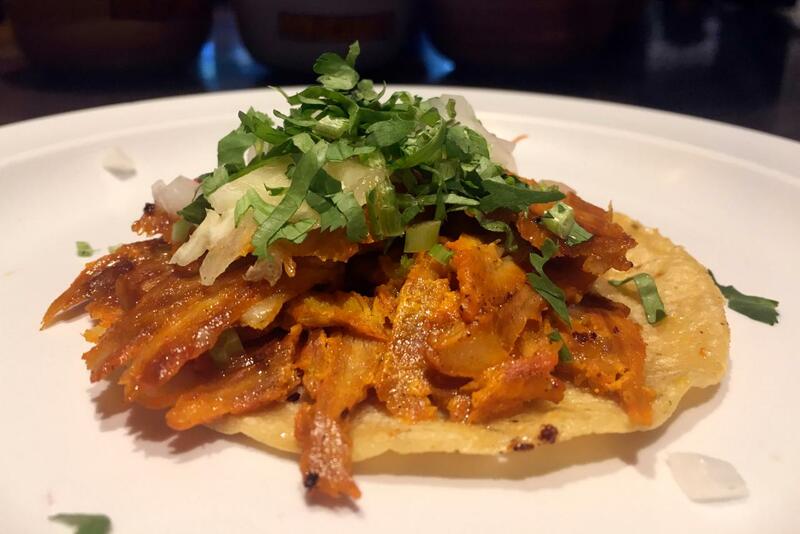 As soon as you sit down at El Tizoncito, in La Condesa, a waiter will bring you a tower of chips, salsas and limes, but you’re really here for the smoky al pastor tacos. 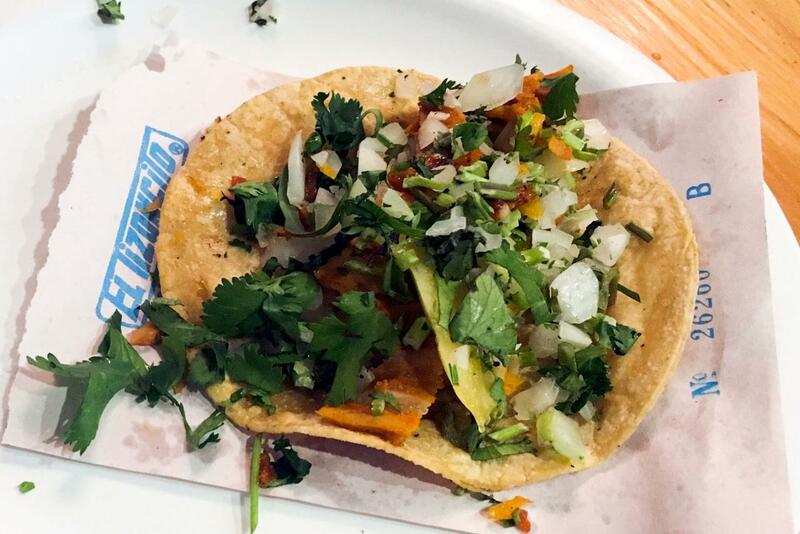 Come here for late-night taco cravings—they’re open until 2:30 a.m. 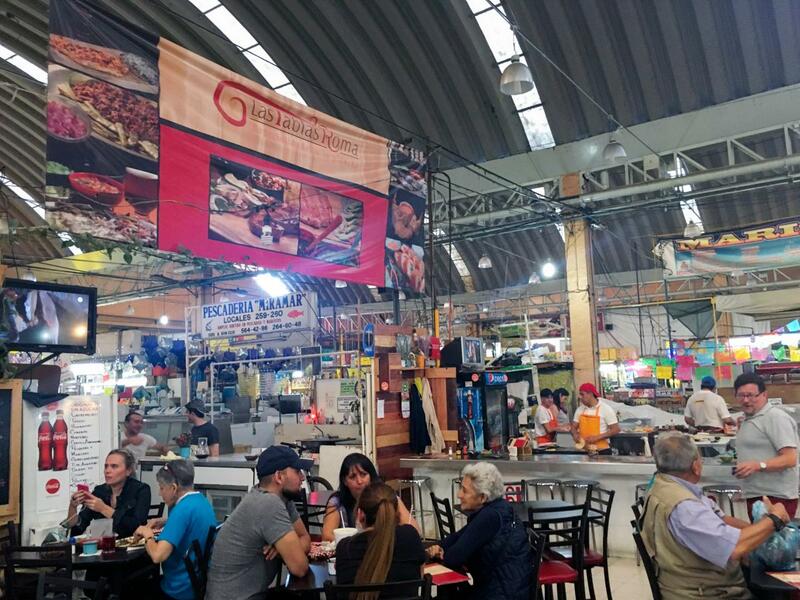 The Mercado de Medellin, in Mexico City’s Roma neighborhood, is a bustling market full of meat, produce, lunch and early dinner spots and fresh-squeezed juice. 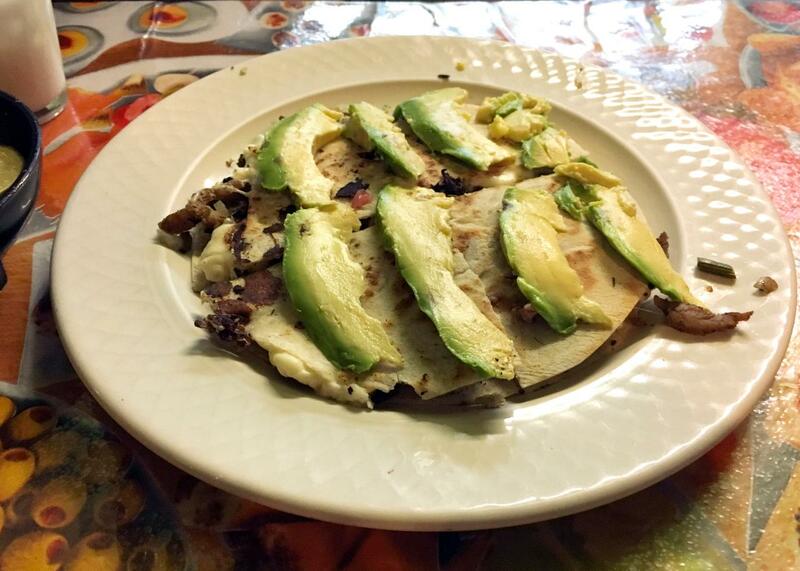 You can’t go wrong with tacos at Las Tablas Roma, but make sure you at least try their nopales tacos, made with strips of cactus. The al pastor tacos at El Califa, in Distrito Federal, are tiny—barely bigger than the lid of a peanut butter jar, but they’re so tasty, you could easily down a dozen of them. They take tacos so seriously, they call their menu La Biblia del Taco, or the taco bible. On Saturdays, El Bazar Sabado opens in an old mansion by Plaza San Jacinto, which turns into a massive art market with rows and rows of paintings from Mexican artists and booths selling jewelry, carvings, toys and handbags. You can spend all day here, looking at thousands of paintings and nibbling on street snacks and tacos scattered around the plaza. 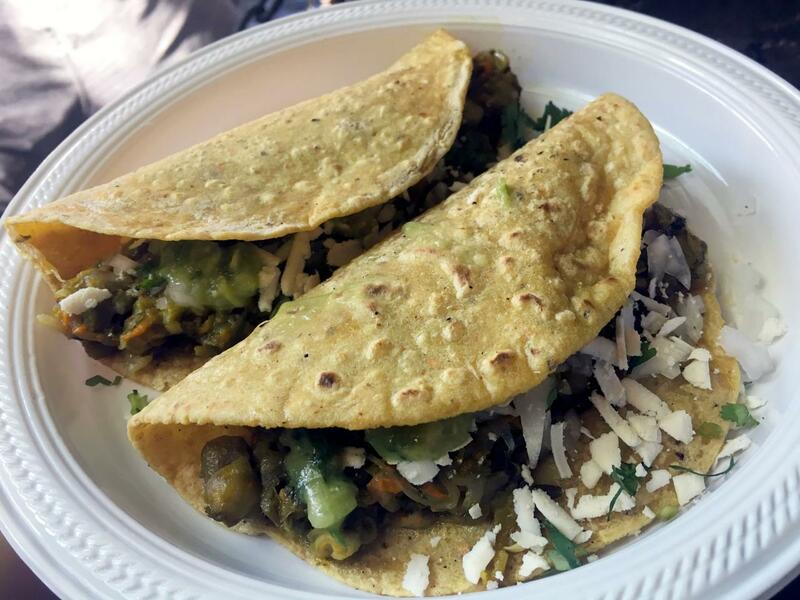 You can’t go wrong, but for a sure win, grab squash blossom quesadillas inside the bazar—the veggies are rich and the tortillas are thick and hearty. You’ll also find artisan foods and ingredients here, like gourmet salts ground with hibiscus and maguey worm and pure cacao chocolate bars. 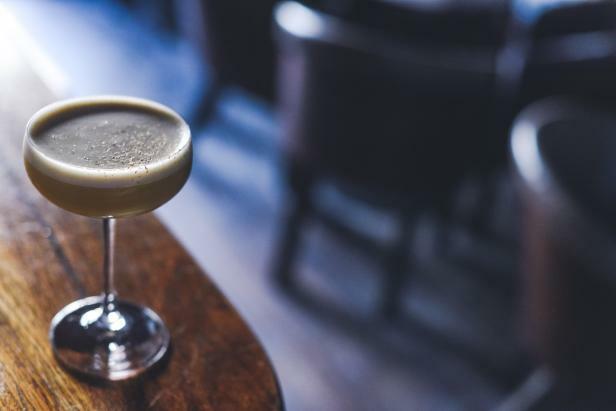 If you’re going out for cocktails in Peru, you’re going to be drinking pisco. This unaged brandy is made in both Peru and Chile, and brings a lot of fruity, floral flavors that go very well with citrus. 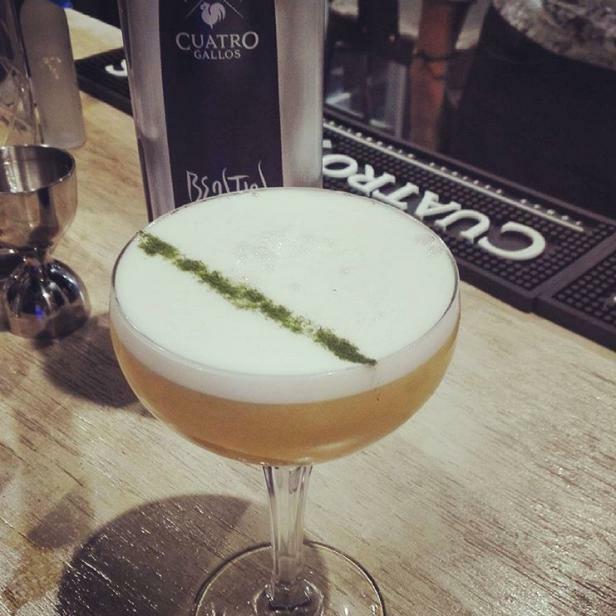 That’s the theory behind Lee Bustamante’s Fina Estampa cocktail, which mixes the spirit with orange liqueur, tangerine juice, passion fruit and a cilantro-infused honey that gives the drink a lovely “green” flavor as well as a rich, frothy texture when you shake it. 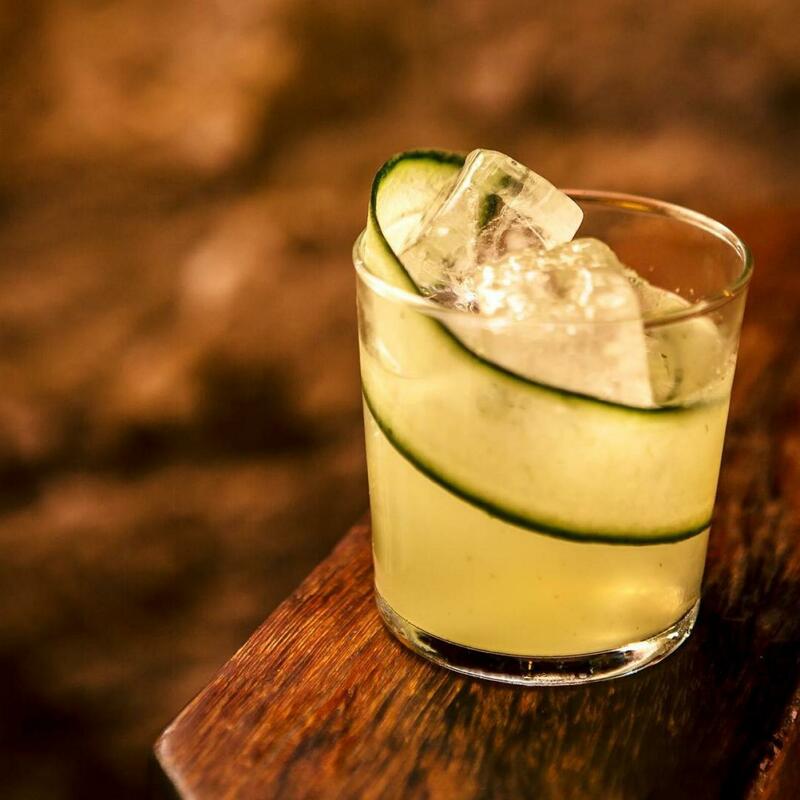 Bustamante has been mixing up drinks in Lima for more than a decade, and you can now find him behind the bar at Rafael, the flagship restaurant of chef Rafael Osterling in the ritzy seaside Miraflores district. 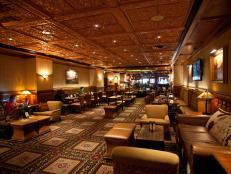 The restaurant itself has a classic elegance, while Bustamante’s bar is a bit more laid-back, with a boho-chic feel. Both, however, seek to highlight traditional Peruvian flavors and ingredients, and the Fina Estampa is no exception. Cocktail from Rafael in Lima, Peru. Add all the ingredients to a shaker and fill with ice. Shake, and double-strain into a coupe glass. Garnish with a sprinkle of dehydrated cilantro powder if desired. Add all the ingredients to a saucepan and cook over low heat, stirring until the honey is dissolved completely and the mixture is slightly reduced. Transfer to a blender and puree until smooth. Fine-strain and store in the refrigerator. When you think of going out in Paris, the first thing you envision is an authentic Mexican taqueria with a hidden speakeasy in back serving sophisticated Latin American cocktails, right? Well, Candelaria is just that, and it’s been consistently among the best-known cocktail bars in the world ever since it opened in 2011. It’s in the heart of Le Marais, a neighborhood of historic Jewish synagogues and aristocratic mansions that’s home today to a thriving and trendy community of art galleries and chic places to eat and drink. Cocktail from Candelaria in Paris, France. Add all the ingredients to a shaker and fill with ice. Shake, and strain into a double Old Fashioned glass filled with fresh ice. Garnish with a long strip of cucumber. *To make arbol-infused tequila, combine 1 dried chile de arbol pepper and 1 (750-mL) bottle of Altos Plata or other blanco tequila. Let stand for 24 hours, then strain and rebottle. 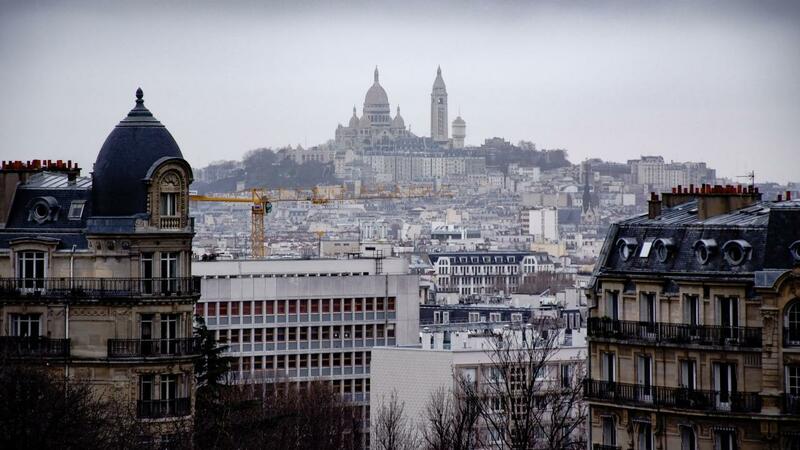 Montmartre is set on a hill in northern Paris. 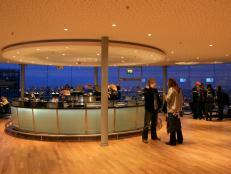 It’s a great spot to take your significant other for breathtaking views of the city. Wander through the narrow, winding streets lined with small cafes and shops. Salvador Dali, Claude Monet, Pablo Picasso and Vincent van Gogh were just a few well-renowned artists who had studios or worked in the Parisian neighborhood. 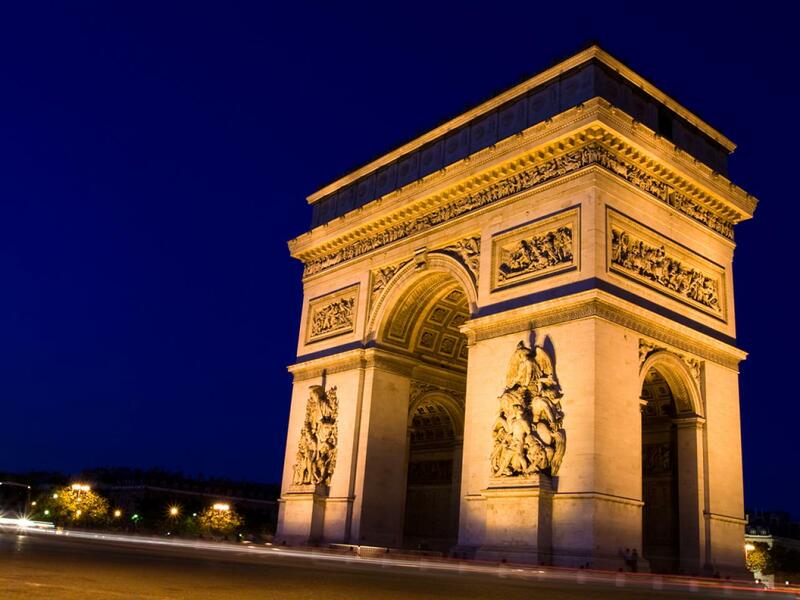 Couples can take a romantic stroll down the tree-lined Champs-Élysées, the most famous street in Paris, to the Arc de Triomphe. There are dozens of restaurants, theaters and shops along the street, and what’s more romantic than a new Chanel bag? Get a chocolate massage at the Four Seasons George V Hotel, located nearby, if shopping isn't your thing. 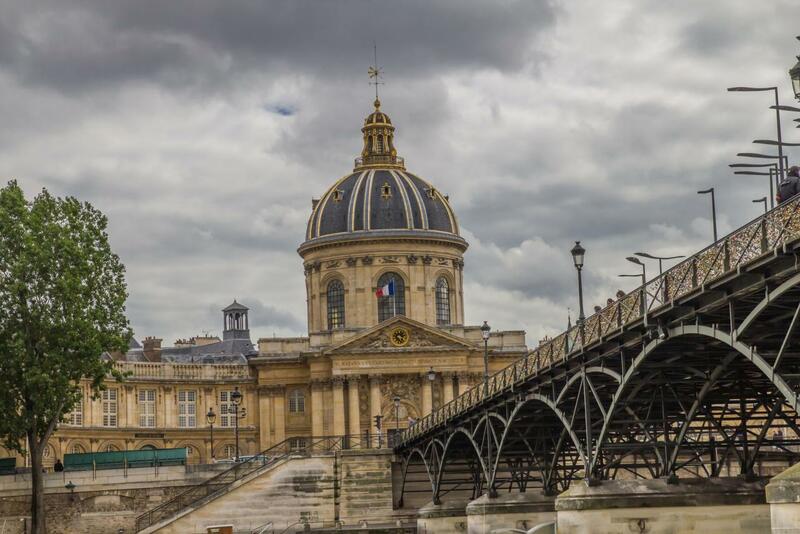 The Pont des Arts is another hot spot for lovers. The pedestrian bridge sits over the Seine River. 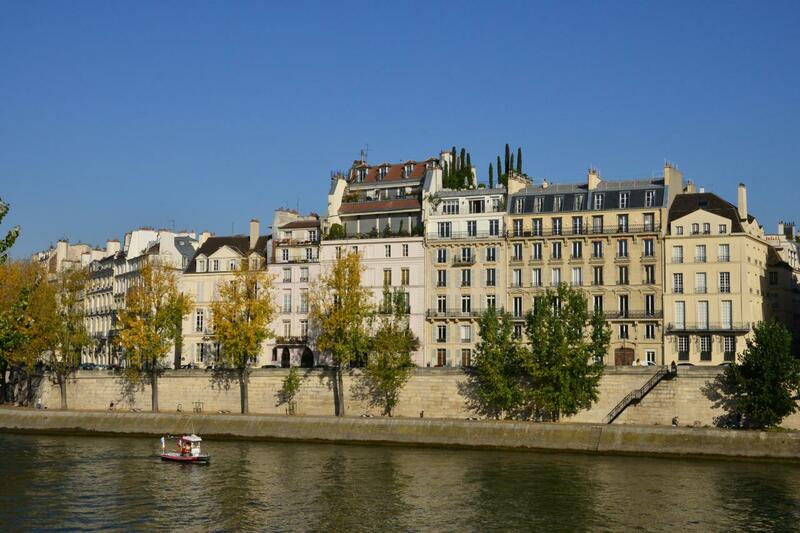 It offers a picturesque view of Île de la Cité, and street musicians help create a wonderful, romantic vibe. Spend quality time with your sweetheart more than 1,000 feet in the air, getting one of the best views of the City of Light. 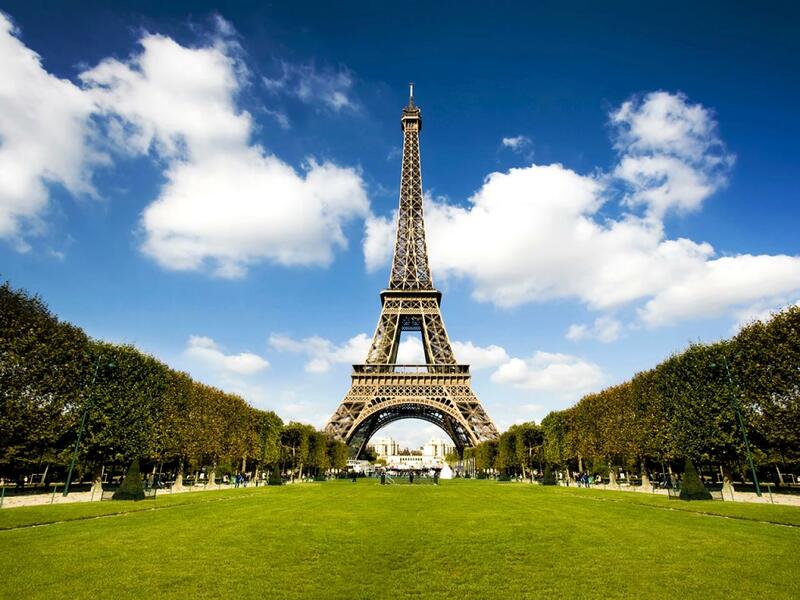 The Eiffel Tower is the perfect place to propose, but you may have to wait in a long line to take your love to new heights, especially during the spring and summer. Avoid the crowds by packing a basket for a nice picnic in the park below the towering tourist attraction. 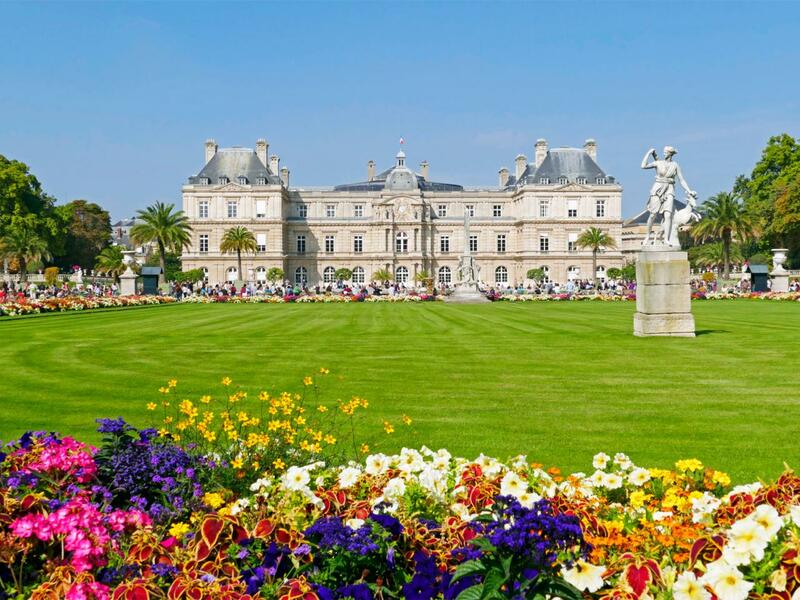 The gardens surrounding the Luxembourg Palace has been a hotbed of romance for centuries. Famous couples — from Napoleon and Josephine to Jean-Paul Sarte and Simone de Beauvior — frequented the gardens. Today, lovers still stroll among the beautiful statues, fountains and flowerbeds. 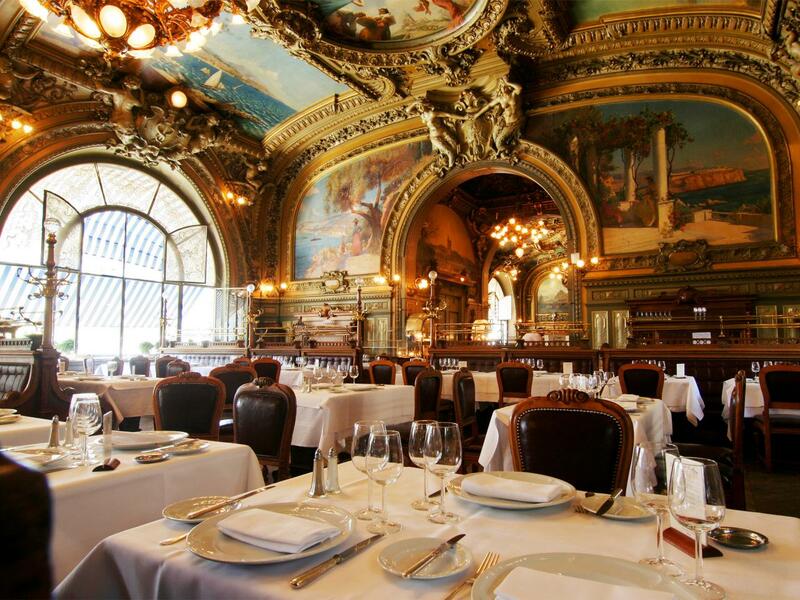 Gare de Lyon is one of the 6 large railway terminals in Paris, but inside, Le Train Bleu restaurant has all the makings for a romantic night. The opulent restaurant, built in 1901, has grandiose sculptures, mural-covered walls and ceilings, crystal chandeliers and shiny brass fittings. Famous regulars included Jean Cocteau, Coco Chanel and Salvador Dali. 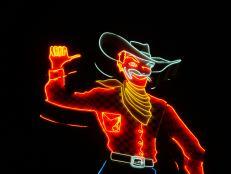 The fixed-price menu is about $70 per person, whereas the a la carte menu costs about $90 per person. It’s expensive but worth a trip to wine and dine your sweetie. 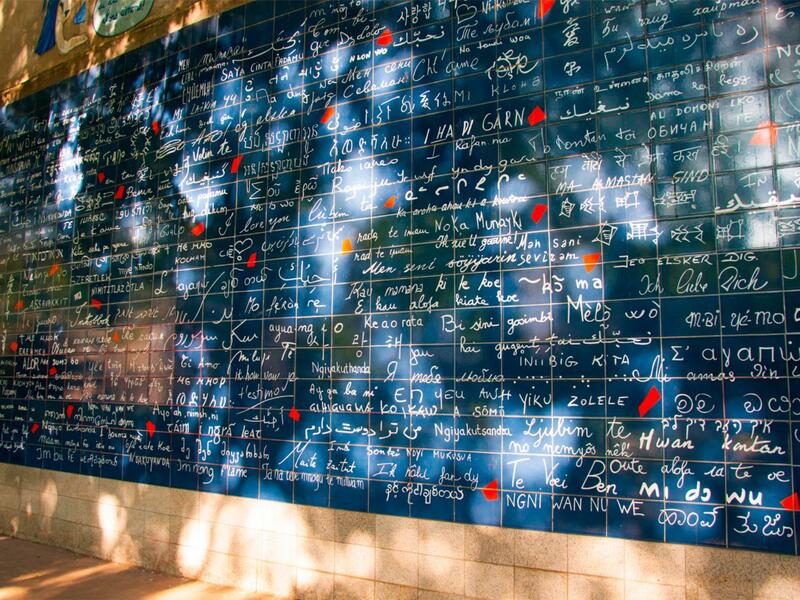 Wall of "I Love You's"
Located in Paris’ 18th arrondissement, Le Mur Des Je T’aime, aka the Wall of "I Love You's," was created by Frederic Baron and Claire Kito. It has become a meeting place for lovers of love. The wall has “I Love You” written in 250 different languages. 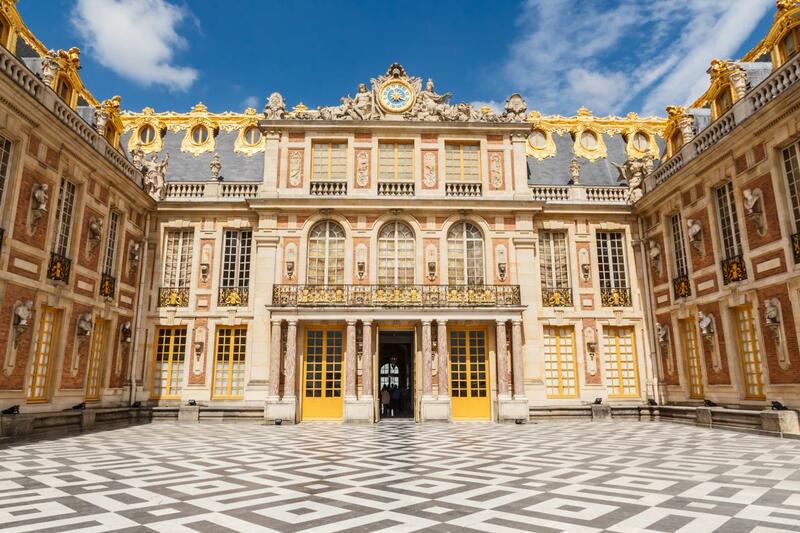 For the adventurous couple, take an hour-long train ride to Versailles to visit the Palace of Versailles, the former residence of King Louis XIV. Spend a few hours visiting the chateau, the manicured gardens and the Domain de Marie-Antoinette. Rent a bike to get around the huge estate and travel down to the main canal, where visitors can rent a paddleboat built for 2. What’s not to love about visiting the Louvre? It's one of the world’s largest museums, and it's the most-visited art museum in the world. 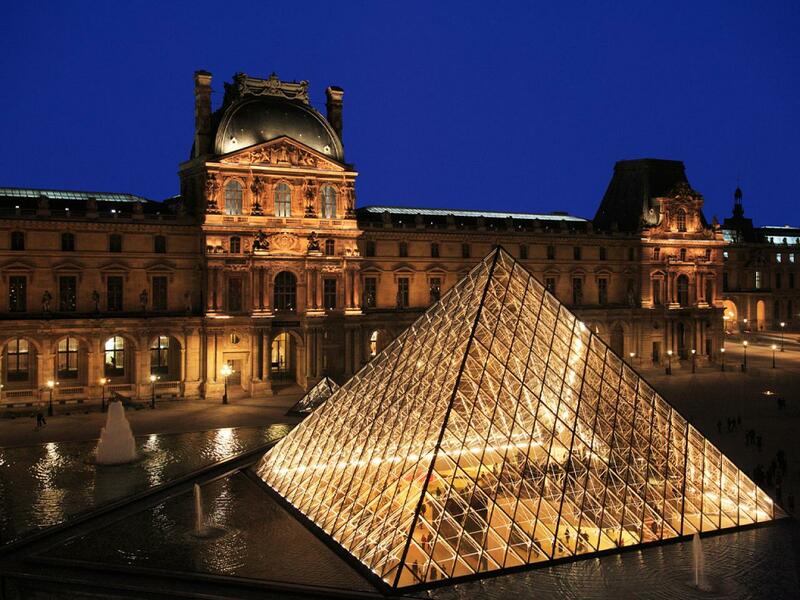 The Louvre is a great tourist attraction for art lovers, with a variety of artwork, including the Greek sculpture Venus de Milo, Antonio de Correggio’s Venus and Cupid With a Satyr, Leonardo da Vinci’s Mona Lisa and Paolo Veronese’s The Wedding at Cana. 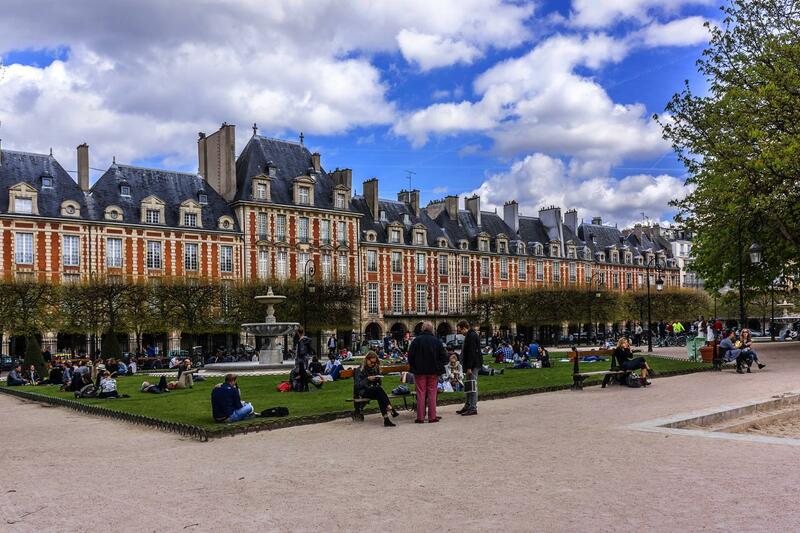 Le Marais’ Place des Vosges, originally known as the Place Royale, is the oldest planned square in Paris. Catch some sun on the lawn; take a relaxing stroll through the Jardin des Tuileries; and hop on La Grande Roue, aka the Ferris wheel, to wrap up a fun-filled day with your sweetheart. Take a casual stroll along the Seine near the Île St. Louis, but make sure you bring a blanket, a bottle of wine and some cheese with you. Lay out with your sweetheart, and watch the boats or foot traffic go by. 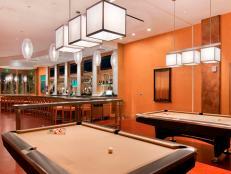 It’s the perfect place to unwind and enjoy the sights. 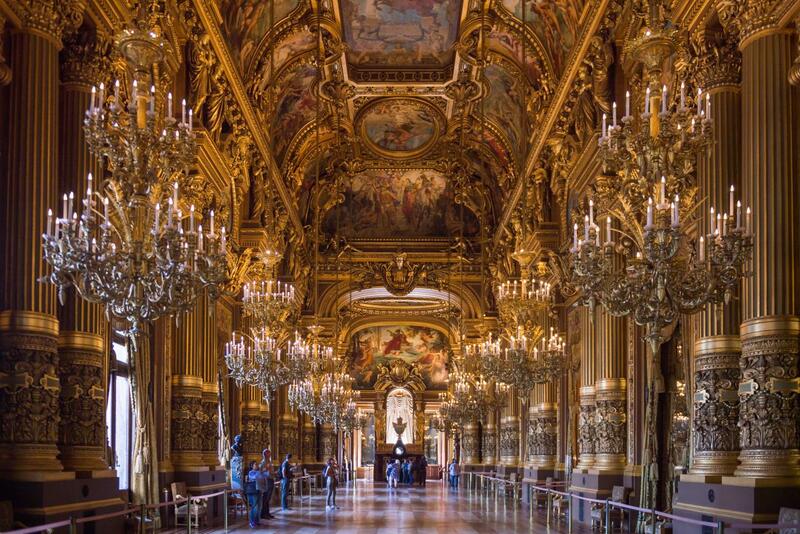 Pick up 2 tickets for a show at the opulent Palais Garnier. The elegant opera house, built from 1861 to 1875 for the Paris Opera, is one of the most famous opera houses in the world. It was the setting for Gaston Leroux’s 1911 novel The Phantom of the Opera. 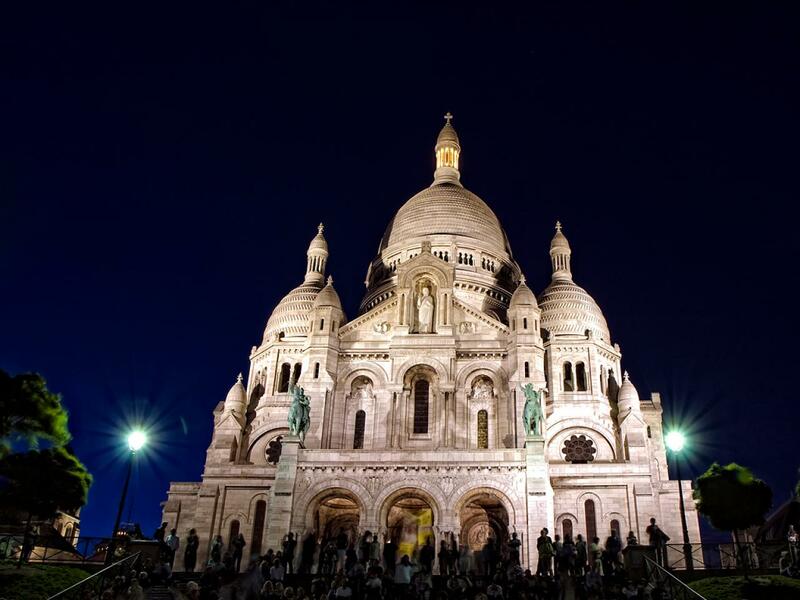 The Sacré Coeur Basilica, located in the Paris’ Montmartre neighborhood, is also a popular romantic getaway. Climb the stairs for a spectacular view of the city. The sights and the basilica may inspire you to propose to the one you love. Why not? It's the perfect spot. St. Germain des Prés is a small area located around the church of the former Abbey of St. Germain des Prés. 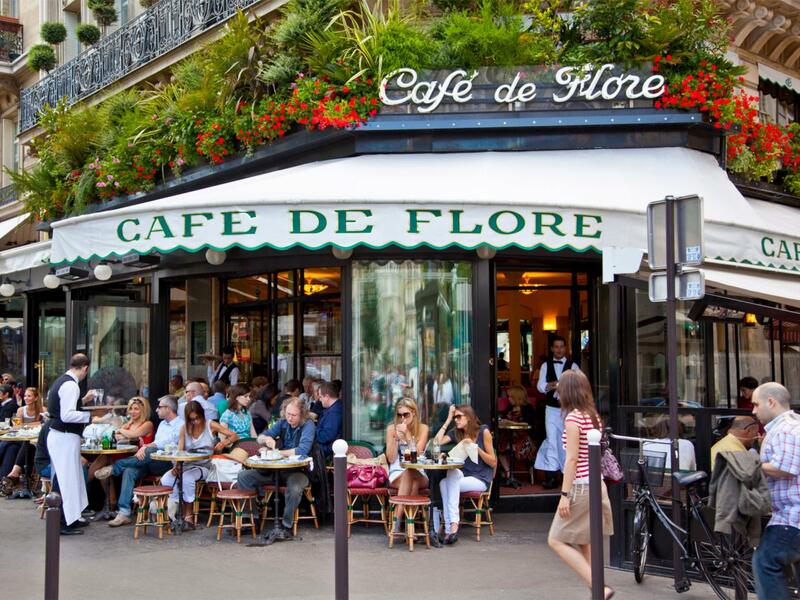 Pick up a cup of coffee and sit for a spell at a number of famous cafes in the neighborhood, including Les Deux Magots and Café de Flore. 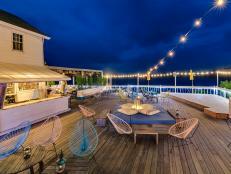 It’s a great place for lovers who enjoy people-watching. 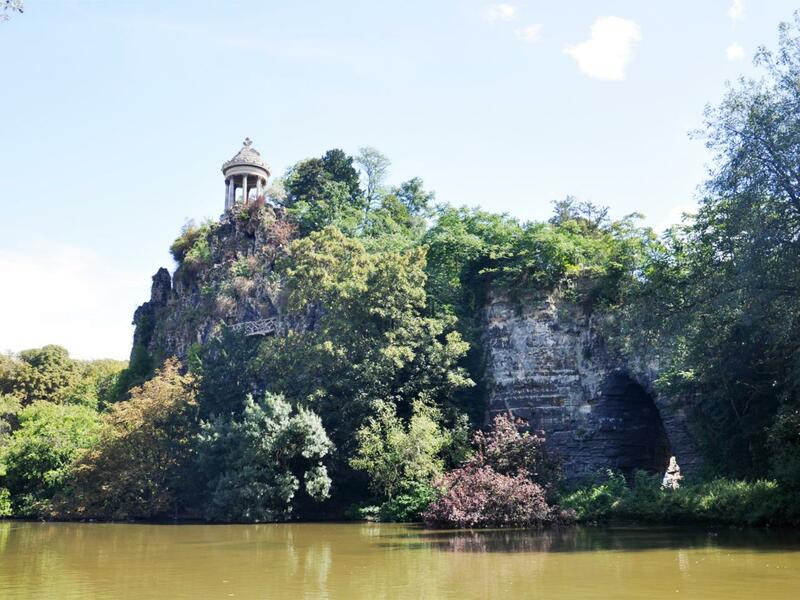 Parc des Buttes Chaumont is unquestionably one of Paris’ most romantic settings. It has all the ingredients to qualify it as romantic, including cliffs, grottoes, waterfalls and a lake. Take a long hike up to the replica of Tivoli’s Temple of the Sybille for a kiss on a cliff overlooking the city’s sights. 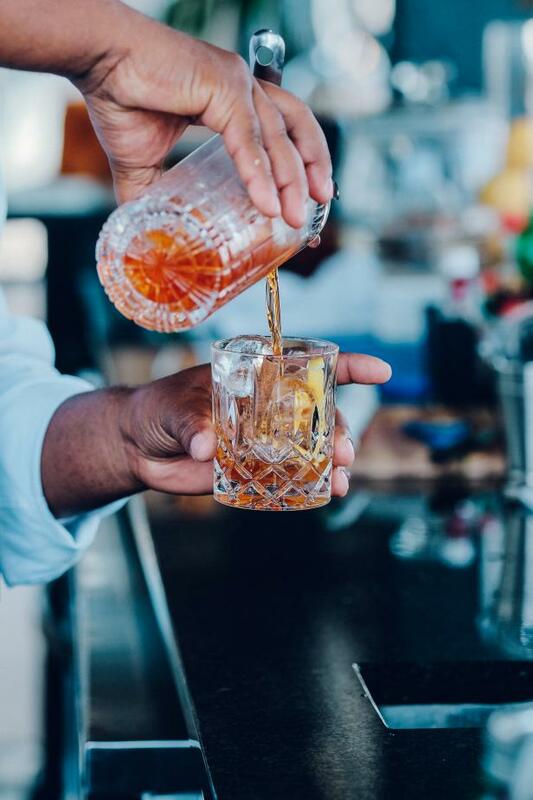 The Willaston focuses on gin, with a sizable collection of South African-made bottles and an extensive Gin & Tonic list utilizing them, and Urquhart shared a recipe for a classic Negroni with a Cape Town twist. Originally created by local barman Kurt Schlechter (who’s currently working at The Spirit Merchant Trading Company), the Iceplant Negroni is named after a flower native to South Africa. Carpobrotus edulis is called the iceplant in English, and its fruits look like figs and are called vygie, “small fig,” in Afrikaans. Inspired by this, the Iceplant Negroni uses gin infused overnight with dried figs and cinnamon for some extra-fruity flavor, while traditional bittersweet Campari is replaced with lighter Aperol, which lets the figgy gin shine through. Cocktail from The Willaston Bar in Cape Town, South Africa. Add all the ingredients to a mixing glass and fill with ice. Stir, and strain into a rocks glass filled with a large ice cube. Garnish with an orange twist and a cinnamon stick. *To make the fig-infused gin, add 2 sliced dried figs and 2 cinnamon sticks to a (750-mL) bottle of Bombay Sapphire Gin. Let stand overnight, then strain and rebottle. China never had national Prohibition like we did in the US, but the country’s largest city is still home to an “authentic” speakeasy. Set in a 1920s-era building in Shanghai’s nightlife hotspot, the French Concession neighborhood, Speak Low’s entrance is hidden in a boutique bar-tool store called OCHO. Find it and you’ll have access to three bars: a disco serving pre-bottled cocktails to a high-energy crowd; a high-volume New York-style cocktail bar; and a high-end craft-cocktail bar inspired by the small and intimate joints in Tokyo that features sophisticated tipples ranging from smoky, umami-spiked concoctions to fruity tiki drinks. Cocktail from Speak Low in Shanghai. Add all the ingredients to a mixing glass and fill with ice. Stir, and strain into a coupe glass. Garnish with a red bayberry (yamamomo in Japanese) or a cocktail cherry. In 1999, Tash Conte’s family bought a little restaurant in the Melbourne suburb of Fitzroy. 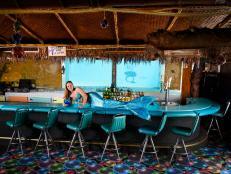 After a few years, they realized they were selling more drinks than food and renovated the place into a full-on cocktail bar called Black Pearl. It’s now known worldwide for its creative drinks, but Black Pearl started with Conte’s mom and brother making sausage rolls in the kitchen, her dad handling maintenance and accounting, her sister and cousin mixing drinks and Conte herself as bar director, a role she still plays today. 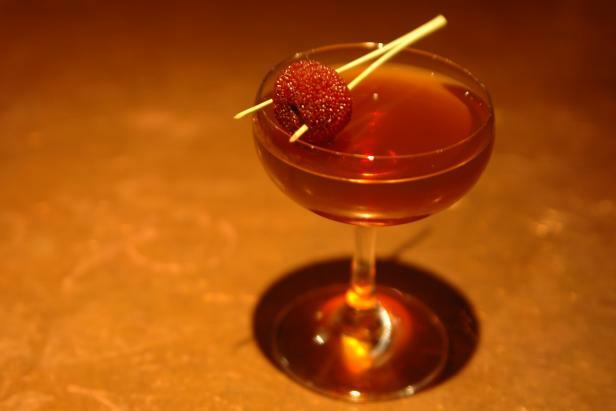 The Death Flip first appeared on Black Pearl’s menu in 2010, with this ominous description: “You don’t wanna meet this cocktail in a dark alley. Ingredients unnamed.” But Conte revealed the secret to us. 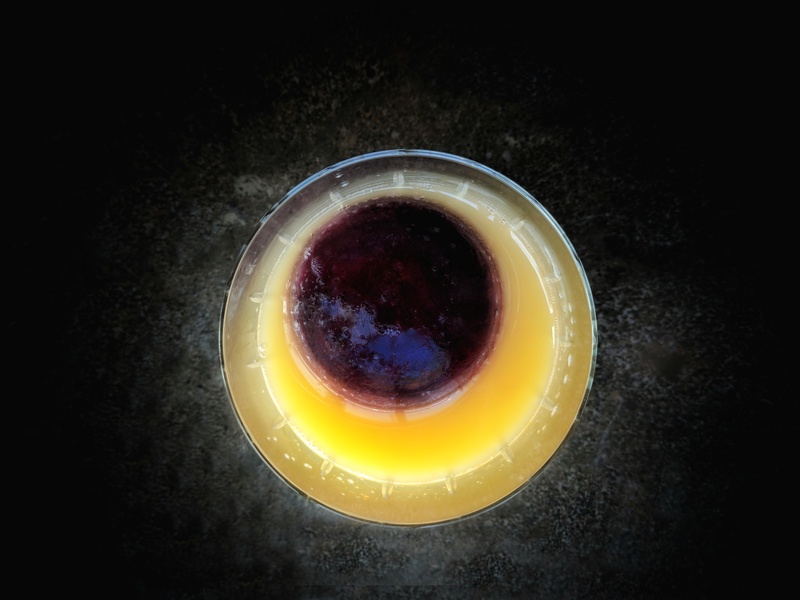 It’s a mix of tequila and two assertive liqueurs—spicy, liquorice-y Jagermeister and floral, herbal Yellow Chartreuse—along with a whole egg. It sounds like a weird combo, but the richness of texture provided by the egg matches beautifully with the strong and complex flavors of the other ingredients. It might be summer right now Down Under, but this hearty drink is also perfect for the Northern Hemisphere’s wintertime. Cocktail from Black Pearl in Fitzroy, Australia. Add all the ingredients to a shaker and shake well (without ice). Open the shaker, fill with ice, and shake again. 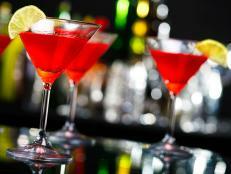 Double-strain into a flip or coupe glass and garnish with freshly grated nutmeg. McMurdo Station is the largest of several research stations and other facilities on the vast, icy continent of Antarctica and home to as many as 900 scientists and support staff during the summer, when the sun never sets, and about 140 during winter, when it never rises. Those folks need something to do when they’re not working, and as the largest of three bars at McMurdo, Gallagher’s Pub is Antarctica’s social hub, regularly hosting live music, trivia nights, karaoke and dance parties. Originally dubbed the Erebus Club and built for enlisted men back when the US Navy ran McMurdo, Gallagher’s was renamed in 1997 for Chuck Gallagher, a longtime station chief for the base who died tragically that winter. It looks much like a bar you might find anywhere in the world, but it runs very differently: Gallagher’s only gets one delivery per year for all of its liquor, mixers, glassware and other supplies, and fresh produce (what locals call “freshies”) is at such a premium that things like lemons and limes are reserved exclusively for the base’s kitchens. 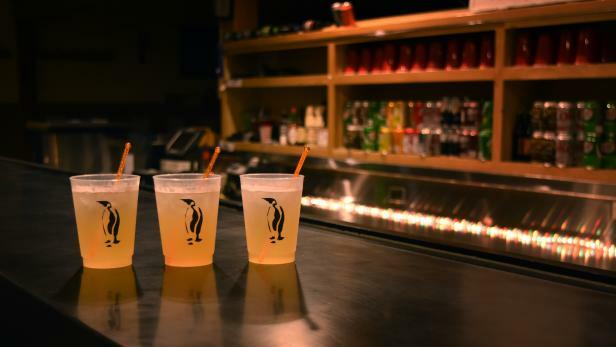 “Most of our beverages are one-liquor-and-mixer cocktails,” says Mike Santos, who tended bar at Gallagher’s for four seasons from 2011 to 2013 and now oversees beverages, recreation and retail for the entire United States Antarctic Program. Jameson Irish Whiskey is the most popular spirit at Gallagher’s, and it’s the base for the bar’s house cocktail, the McMurdo Mule. This simple Moscow Mule variation combines Jameson with bottled Rose’s Lime Juice and spicy Mac’s Ginger Beer from New Zealand—which is fairly close to Antarctica and the source of many of its supplies. “I like to think that we were ahead of the curve on the US’ newfound love of ginger beer,” Santos says. Cocktail from Gallagher's Pub at McMurdo Station in Antarctica. Add all the ingredients to a mug or highball glass filled with ice. Stir briefly.